eFunda Directory Service: Company Details: OptoMotive, mechatronics Ltd.
OptoMotive is developing FPGA based optomechatronic solutions. The company is specialized in FPGA based industrial and non-industrial high-speed intelligent cameras and architectures for demanding and real-time processing machine vision solutions. - Cameleon is a ready to use imaging solution based on popular TE0300 FPGA USB module. - Camelopard is a high-performance OptoMotive USB camera based on TE0320 FPGA USB module. - Velociraptor is the ultimate FPGA camera with very large FPGA and extremely high speed imaging sensor. It is based on the new GigaBee modules, which incorporate dual DDR3 memory and Gigabit Ethernet. - SHARKi is our latest MS Windows based Graphical User Interface (GUI) for video viewing, storing and camera control. Cameleon is a ready to use imaging solution based on popular TE0300 FPGA USB module. It offers a simple entry point to FPGA imaging. 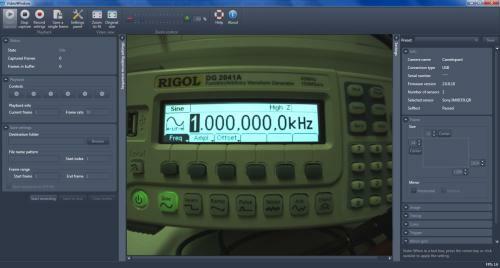 The FPGA can be used for real-time high-speed image processing. The package includes FPGA reference design and PC software with source code. Examples in C#, MatLab, Xilinx tool suite. Image processing cores include 3D laser triangulation (3D scanning) and 2D FIR filter. 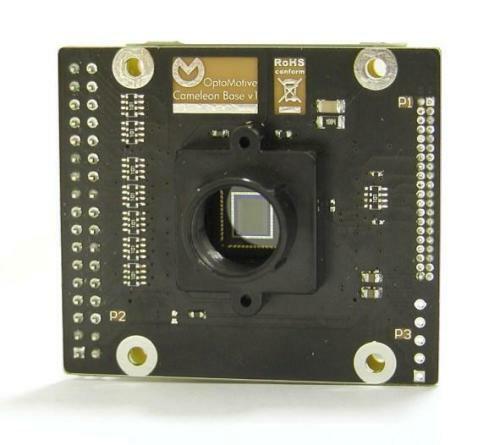 Camelopard is a high-performance OptoMotive USB camera based on TE0320 FPGA USB module. It uses high-performance system-on-chip (SOC) technology, combined with the latest high-speed industrial Sony CMOS sensors. The sensors exhibit high sensitivity, very low noise and no smear at maximal speed. The large camera buffer enables capture of sequence of events at very high speed. 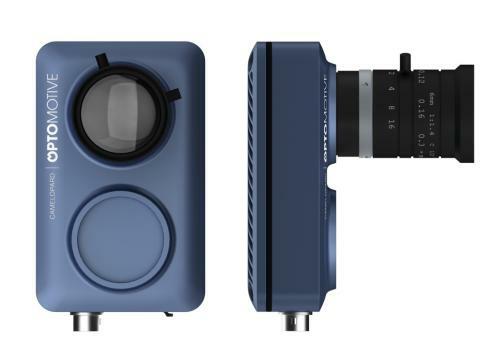 Velociraptor is the ultimate FPGA camera with very large FPGA and extremely high speed imaging sensor. It is based on the new GigaBee modules, which incorporate dual DDR3 memory and Gigabit Ethernet. The ultimate-performance system-on-chip (SOC) technology, combined with the latest turbocharged industrial CMOSIS imaging sensors. SHARKi is our latest MS Windows based Graphical User Interface (GUI) for video viewing, storing and camera control. The GUI was composed in C# using latest Microsoft Visual Studio and Windows Presentation Foundation libraries (WPF). Its graphical skin was developed in Microsft Silverlight and can be modified to meet customer graphical expectations. SHARKi is included in all OptoMotive Camelopard camera packages! The process and the technology of retrieving data from processes with the purpose of analyzing it. Programmable logic devices have configurable logic and flip-flops linked together by programmable interconnects. Memory cells control and define the functions that the logic performs, and how the various logic functions are interconnected.